WAt our dealership, we have devoted ourselves to helping and serving our customers to the best of our ability. We believe the cars we offer are the highest quality and ideal for your life needs. We understand that you rely on our web site for accurate information, and it is our pledge to deliver you relevant, correct, and abundant content. We streamline everything we do for maximize efficiency to save you time and money. In fact, it’s our straightforward, no-nonsense approach to business that continues to bring our customers back time and time again. We are a locally owned, family business and our focus is on building lifelong customer relationships. Our customers come from across the region to shop with us, including Beverly Hills, Crystal River, Ocala, Spring Hill, Brooksville, Lecanto, Inverness, and Gainesville, FL. We are proud to be the one-stop shop for all things Kia in the area. Searching for the newest models straight from Kia? Citrus Kia is the place to be. Here you will find a large selection of new Kia models, including the Soul and Sorento. Whether you’re looking for a powerful crossover SUV or stunning sedan, you are sure to find it here. Citrus Kia is home to a dedicated Kia service department, a large selection of vehicles and financing services. For even more quality vehicle options, we invite you to browse our wide variety of Kia Certified Pre-Owned models. In order to be eligible to become Kia Certified Pre-Owned, every Kia model must be five years or newer, have less than 60,000 miles and pass a rigorous 150-point inspection process. For even more peace of mind, every Kia Certified Pre-Owned vehicle comes equipped with a 10-year/100,000-mile Certified Pre-Owned Limited Powertrain Warranty, 12 month/12,000 mile Platinum Coverage, 24-hour roadside assistance, 10-year unlimited mileage roadside assistance plan and much more. Have a particular vehicle in mind? Be sure to explore our large selection of used vehicles. There you will find a variety of quality vehicles from many different automotive manufacturers. 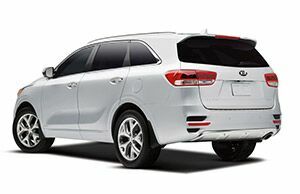 From crossovers SUVs to minivans, you are sure to find a plenty of great vehicles to choose from at Citrus Kia. Maybe most importantly, every vehicle in our inventory has been hand selected and has passed a rigorous multi-point inspection. While we could write at length about our easy, no-nonsense shopping process, we know that actions speak louder than words. Stop by and see us today! You can also browse our complete inventory online. From all of us at Citrus Kia, we look forward to speaking with you! We can take care of all your automotive needs here at Citrus Kia, just give us a call or stop right into the showroom today!